Sculptural, iconic armchair with polarizing impact. 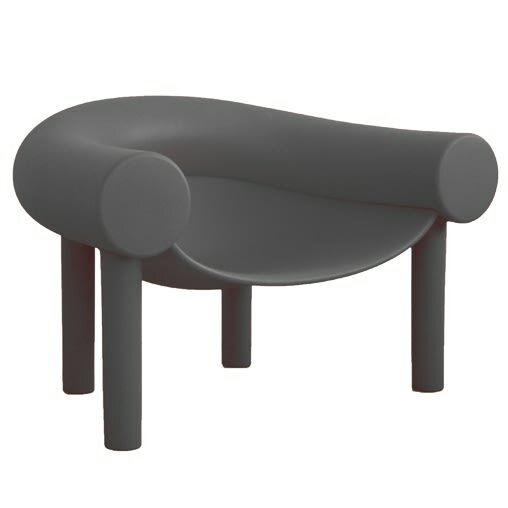 Sam Son is an easy armchair with a hint of a cartoon character. Supported on four stilt legs, the armchair features a softly suspended seat shell between a giant, horseshoe-shaped element, the chair’s characteristic armrest and backrest. Made from two different rotational mouldings, the armchair combines a rigid plastic for its base and a more elastic polymer for the upper part. The exaggerated size of the armrest and backrest provides comfort and support and creates a protective space for sitting. Sam Son comes in four different colours and is suitable for both indoors and outdoors. Do you have a question about "Sam Son"? How can we contact you?